On behalf of the entire PTA board, I wanted to welcome you to the 2017-2018 school year! My name is Melissa Withaeger and I am the PTA President. 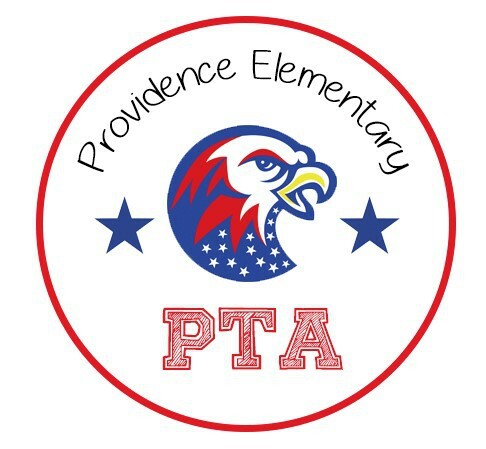 I am so excited to serve the students, staff, parents, and community of Providence! The PTA has been working hard this summer to plan for the upcoming school year. 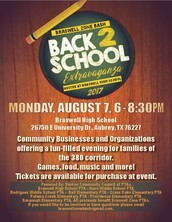 We will start off the year by greeting families and selling spirit wear and memberships at the Braswell Bash on Monday, August 7 and Meet the Teacher on Monday, August 14. Be sure to stop by our table at the Bash to meet us and your new administrator team, Mrs. Diggs and Mrs. Weiper. We want to celebrate our Kinder parents by inviting them to a Boohoo/Yahoo breakfast in the library after drop off on the first day of school. The PTA will be there to "boohoo" or "yahoo" with you, and our principal Mrs. Diggs will be reading a story to all of the parents. 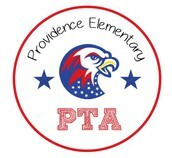 Our first PTA General Meeting will be on Thursday, September 7. We are honored to have Dr. Wilson, the Denton ISD superintendent, at the meeting to discuss the upcoming September 9 tax election. Mrs. Diggs and Mrs. Weiper will be there to meet all of our families, the book fair will be open, and free popcorn will be served. Our book fair will also be open on Grandparent's Day, Friday, September 8. The PTA welcomes all of the grandparents to the school and will be giving each a carnation to show them our appreciation for all they do for our students. We will be holding monthly Chick-fil-a spirit days again and the first one kicks off on Tuesday, September 12. The PTA also just made it's first purchase of the school year and will be supplying all of the planners for all of the grade levels. 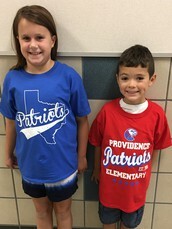 I, like all of you, am a parent of children at Providence, a 3rd grader and a 4th grader. I have found that taking the time to build positive relationships with my children's teachers is a critical part of their educational experience. I encourage you all to take the time to build that relationship to enable you to more effectively communicate not only your concerns, but also the positive things you see happening with your child at school. I, along with the PTA Board, look forward to making this the best year possible! The PTA will be selling our new spirit wear at the Braswell Zone Bash, Meet the Teacher, and the Boohoo/Yahoo Breakfast! Both adult and children sizes are available. 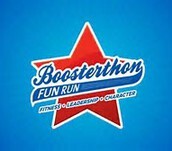 The PTA will be hosting the Boosterthon Fun Run this fall. We chose this event for it's character and community building philosophy and activities. 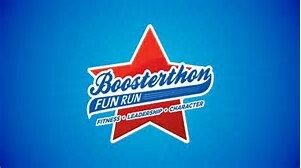 Boosterthon is like a field day, a 5K race, a concert, and an explosion of school spirit all in one. The event kicks off on Monday, October 23 and students can collect pledges to win prizes. Pledges are made online so family and friends from all over the world are invited to participate. The PTA's goal is to get a pledge from all 50 states! The fun run is on Friday, November 3 and ALL students get to participate by running laps while being cheered on by their teachers, volunteers, and the Boosterthon team. For any membership questions please feel free to email Elyse Stubbins at vpmembershipsprovidence@gmail.com. The PTA is looking for volunteers to help us at our events throughout the year. If you are interested in volunteering, please email our Volunteer Coordinator, Lanna Bell, at providencevolunteerinfo@yahoo.com. The PTA will be collecting box tops again this year. Students can turn those in to their classroom teacher. 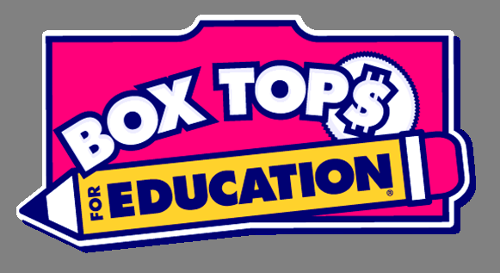 All box tops money collected goes right back to the classrooms. The class who collects the most box tops at the end of the year also gets a pizza party so start collecting!